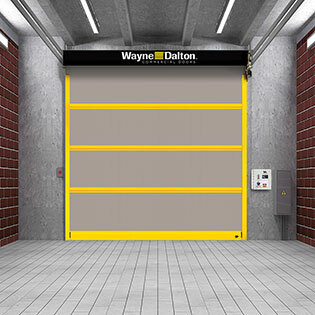 Wayne Dalton’s Model 882 ADV-X strutted interior high speed fabric door is a lightweight and durable door that's ideal for manufacturing, warehouse and distribution facilities. This door is capable of withstanding pressure of up to ±4 psf or 76 mph and can operate under pressures up to ±2.5 psf or 53 mph. Model 882 ADV-X is built to last.